The 13.04 “Raring Ringtail” release of Ubuntu falls at the mid-point between the 12.04 and 14.04 LTS (long-term support) releases. This is the time in a development cycle when the balance starts to tip from innovation toward consolidation, when conversations form around what pieces need to be in place today to ensure a solid “checkmate” two releases down the road. With that context in mind, it’s no surprise that Ubuntu Foundations–the central core behind the many faces of Ubuntu–plays a starring role in this release, both in sessions here at the Ubuntu Developer Summit in Copenhagen, and in the upcoming 6 months of development work. Look for sessions on release roles and responsibilities, release planning including Edubuntu, Lubuntu, Xubuntu, and Kubuntu, archive maintenance and improvements to archive admin tools, reverting package regressions and immutable archive snapshots, cross-compilation, user access to UEFI setup and plans for secure boot, xz compression for packages, image creation tools for Flavors, auto-generated apparmor profiles, PowerPC bootloaders, OAuth for Python 3, “prototype” archives for new hardware, Android ROMs, user experience in distro upgrades, build daemon resources, boot time on ARM, and installation tools on ARM. Also training sessions on the error (crash) tracker, Python 3 porting, and how to contribute to upstart. On the Cloud front, the big topics continue to center around OpenStack (integrating Grizzly, QA, packaging improvements), Juju (the Charm Store, Charm developer tools, contributor onramps, application servers like Ruby on Rails/Django, development process), and Ubuntu Cloud images (testing and roundtable). While the broader Ubuntu Server discussions range over Xen, LXC, libvert, QEMU, Ceph, MySQL, Nginx, Node.js, and MongoDB, Query2, bigdata filesystem support, and Power architecture virtualization. The Client side is a harmonic chorus, with sessions on Ubuntu TV, mobile devices and installing Ubuntu on a Nexus 7, plus multiple sessions on Ubuntu as a gaming platform. Also look for the usual sorts of nuts and bolts that go into building a beautiful client experience, like accessibility, battery life, connectivity, config sync, choice of file managers, and consistent typography. Don’t miss the Design Theatre on Wednesday, where all are welcome to participate and learn about design thinking, solving real-world design problems for apps submitted by the audience. This week in Oakland is the Ubuntu Developer Summit, a time for Ubuntu Developers from around the world to gather and plan the next release, version 12.10 codenamed “Quantal Quetzal”. I’ve shuffled and reshuffled the sessions several times, looking for the “governing dynamic”, the thematic structure that holds the Quetzal together. I’ve settled, appropriately, on “quantization”. In general terms, quantization is a process of separating a continuous stream into significant values or “quanta”, such as image pixels from the continuous colors of real life, or discrete atomic energy levels. The theme applies on multiple levels. First, there’s the process attendees are going through right now (in person or remote), surfing the sea of sessions, determining how to divide their time for maximum value. And like an atom that retains its fundamental structure at multiple energy levels, Ubuntu is still Ubuntu, unified at the core as a distribution and as a community, even across multiple “product” targets. Since this is the first release after an LTS, there’s more room than usual to re-examine the core at a fundamental level, with an eye to where we want to be by the next LTS. And those are only the highlights. 🙂 It’s going to be a great week, and a great cycle! Today is Ubuntu Community Appreciation Day, a new tradition in the Ubuntu community started by Ahmed Shams El-Deen of the Ubuntu Egypt LoCo. I’d like to take this opportunity to show appreciation for Kees Cook, who many years ago took time out of a busy conference to teach me how to build my first .deb package. That welcoming spirit — that patient recognition that every green newbie has the potential to become a future valuable contributor — is a key part of community strength and growth. It’s a pattern I emulate, and a gift I repay, by welcoming and mentoring other new developers. Over the years, Kees has demonstrated sane, sensible, calm, and wise technical leadership at OSDL (now known as The Linux Foundation), on the Ubuntu security team, and more recently on the Ubuntu Technical Board. 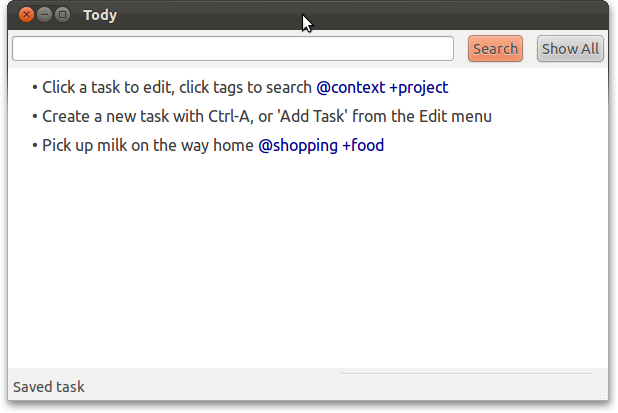 There are many reasons I have confidence in the future of Ubuntu, and he is one of them. Thanks, Kees! I’d like to thank the entire Ubuntu community for renewing my faith in the humanity of free software. When I stumbled on Ubuntu all those years ago, I had already been working in free software for what felt like a century, and was…well, tired. Your joy and delight in bringing free software to the world inspired me, and restored my passion for contributing. The heart and soul of free software is people like you, changing the world for the better every day. Thank you all! 2) Installing from the Kubuntu CD and wiping the HD has the same problem as (1), and the same error message. 3) Installing from the Ubuntu 11.10 amd64 CD into the same dual-boot configuration as (1) also won’t boot the Ubuntu partition, but it gives no explicit error message about the grub install failure. 4) When I install from the Ubuntu 11.10 amd64 CD and completely wipe the HD and replace it with Ubuntu, the install works perfectly, and the machine boots into Ubuntu afterwards with no problems. I can also install the ‘kubuntu-desktop’ package on the working system, and get a working Kubuntu desktop. This tells me that we’re not dealing with a UEFI or hardware compatibility issue here, just an issue with partitioning and the bootloader. Which is what James and I suspected last week, but it’s nice to have explicit confirmation (without wiping his friend’s machine). And, it boots fine from the Ubuntu partition. That’s all the time I had so far. A few observations about the system as it shipped from the factory. Windows is booting using a custom bootloader, the Windows Boot Manager which bypasses UEFI. In the dual-boot configuration that doesn’t work, the UEFI “BIOS” configuration and the efibootmgr command-line utility both recognize that the machine has a UEFI boot option for “ubuntu”, but choosing that during startup from the boot options still diverts straight to Windows. The machine didn’t ship with GPT partitions (which are one of the advantages of UEFI), instead it shipped with an old-fashioned MBR partition scheme (limited to 4 physical partitions). The working Ubuntu configuration (total machine wipe) does set up proper GPT partitions. I have an old iPod that I occasionally use on car trips, but haven’t really modified in years (it mostly sits on a shelf). This morning I decided to play around a bit with hooking it up with my main Ubuntu desktop. I found a good list of options for managing an iPod in Linux on Wikipedia, and decided to try out both gtkpod and Rythymbox. Both seemed to work pretty well for interfacing to the iPod, no a super-shiny interface, but usable. A slight advantage to gtkpod, because it displayed my Smart Playlists, while Rhythmbox only displayed the static ones. Between the two, I can imagine using Rhythmbox as my primary music player, but would probably only use gtkpod for directly managing the iPod. I copied my iPod music library over to Rhythmbox’s local library, just to try it out. It copied 3,249 tracks out of the 3,359 that were on my iPod. I got a few errors about duplicate files during the copy, all with generic file names like “01 – Track 01.mp3”. There were ~4-5 CDs like this, each with ~19-25 tracks, so that seems to account for the missing 110 tracks, though I didn’t keep exact notes, or do an exact comparison to see which files were missed. I’m guessing a handful of CDs I had loaded on the iPod were ripped with generic file names rather than specific titles, and that the iPod was separating them by directory structure, while Rhythmbox was loading them all in one directory so the file names conflicted. Just a guess, I’ll look into it more later if it ends up being useful. The ability to copy a playlist from the iPod to the local music library, instead of recreating it. The ability to synchronize my music and playlists between different computers/devices (will look into Ubuntu One for this later, it has some relevant features, though possibly not yet the full user journey I’m looking for). A shinier user interface, that makes it easier to find artists, albums, or songs I want to listen to. More informative error messages when failing to copy files. I found one work-in-progress on integration between Rhythmbox and the Music Lens, I’d like to see that complete.